Long Island and Nassau County attorneys and trial lawyers demonstrating excellence in litigation of business and commercial disputes, serious personal injury claims, long-term disability insurance claims and insurance coverage disputes, criminal and white-collar defense, and professional liability claims. Tough enough to fight for you Sepe & O'Mahony, PLLC combines the strengths of a large law firm substantial legal resources, aggressive and experienced attorneys and a record of trial success with the practical efficiencies of a boutique practice. We unite no-nonsense legal advice with the incisive and creative thinking needed to obtain the right settlement or try your case to verdict. Our strength lies in the high caliber of our lawyers, the pragmatism of our approach and our preparedness and tenacity at every stage of litigation and trials. Smart enough to find the best solution One-on-one personal attention to our clients sets Sepe & O'Mahony, PLLC apart. The skilled lawyer who meets with you during your initial consultation and earns your trust is the same lawyer who handles your case through its completion. Because your case is never shuffled among inexperienced and junior associate attorneys, it is handled more efficiently and effectively. Our attorneys combine experience with a forward-thinking approach that positions clients for successful resolution of their cases, whether through negotiation or litigation. At Sepe & O'Mahony, PLLC, our attorneys provide comprehensive legal services on a wide range of matters. Whether your case involves a personal injury, a disability insurance claim, an insurance coverage dispute, a criminal charge, a business dispute or commercial litigation matter, professional liability or legal malpractice, we utilize relevant knowledge and effective strategies that help achieve your desired outcome. Respected by their peers Sepe & O'Mahony, PLLC is proud to have received the following professional recognitions: Rated "AV Preeminent" by Martindale-Hubbell, the highest possible rating in both legal ability and ethical standards, as established by the confidential peer review opinions obtained from members of the Bar and Judiciary. Recognized in the Bar Register of Preeminent Lawyers published by Martindale-Hubbell, which includes only those select law practices that have earned the highest rating in the Martindale-Hubbell Law Directory, the AV Preeminent Rating, and have been designated by their colleagues as preeminent in their field. Fewer than 5% of the law firms in America qualify for this rating. Inducted as a Lifetime Member of the Multi-Million Dollar Advocates Forum, which acknowledges excellence in advocacy by lawyers throughout the United States and is limited to attorneys who have won multi-million dollar verdicts, awards or settlements. ERISA and disability insurance claims handling and litigation Our law firm provides persistent, results-oriented representation that ensures clients receive fair payment for their disability, health and life insurance claims. Most employer-sponsored benefits are governed by the Employee Retirement Income Security Act (ERISA). Many professionals purchase private insurance policies, which are also known as individual disability insurance policies. Our knowledge of the laws impacting your claim is vast. We are on your side to explain your rights and champion your interests in every aspect of a claim: ERISA claims procedures Health insurance under ERISA Health insurance audits Disability insurance How to apply/file Requirements Disabling conditions Long-term disability When payment is delayed or denied, our attorneys appeal adverse benefit decisions and, if necessary, commence lawsuits to obtain appropriate benefits for you. We also help with 401k benefits under ERISA. Insurance claims coverage and litigation Our firm is a powerful advocate in your effort to obtain benefits under an insurance policy. We help when your insurance company denies your claim by appealing your case. In some instances, an insurer acts inappropriately in handling your claim and can be sued for bad faith practices. Personal injury Our Nassau County injury attorneys help clients dealing with the physical, financial and emotional effects of injuries sustained as a result of negligence. We handle cases from beginning to end from filing claims within the statute of limitations and investigating negligence to settlement negotiations and advocating for clients in trial, when necessary. We have experience with personal injury cases involving the following situations: Serious injuries Car accidents Motorcycle accidents Bus and truck accidents Construction accidents Wrongful death (fatal personal injuries) Criminal law and white-collar defense Our attorneys vigorously defend individuals and corporations suspected or accused of illegal conduct. As former prosecutors, we anticipate the tactics used by state and federal authorities and devise defense strategies that, in most cases, minimize consequences to our clients. Our comprehensive criminal defense practice encompasses felonies and misdemeanors, with particular emphasis on white-collar crime. Business and commercial litigation At Sepe & O'Mahony, PLLC our extensive business services range from corporate formation, contracts and counseling to superb advocacy in complex commercial litigation. Our attorneys share our clients' priorities, and, consequently, are ever mindful of their daily operation, strategic goals, and bottom line. Legal malpractice and professional liability Our attorneys possess a thorough understanding of the standards by which lawyers and law firms must operate. We help attorneys abide by those standards and avoid the risk of malpractice claims. We also advocate for professionals accused of misconduct, helping to secure coverage for claims under their professional liability policies, and defending them where coverage has been denied while pursuing coverage through declaratory judgment actions. Our practice also includes the representation of plaintiffs when a law firm's conduct results in financial harm to its clients. Leverage the skills and knowledge of a driven New York litigation firm Our attorneys are fully prepared to sort through your legal issues and devise a plan for achieving your objectives. We invite you to call 516.821.0956 or contact us onlineto schedule a free case evaluation. The law firm of Sepe & O'Mahony, PLLC represents clients located on Long Island and throughout Nassau County and all of New York. We are easily accessible from the Rockville Centre Long Island Rail Road station. Representing victims of negligence on Long Island and throughout Nassau County and New York City At Sepe & O'Mahony, PLLC our attorneys put extensive legal experience into protecting the rights of injured clients. But what constitutes a personal injury? And why should you file a claim in Long Island or Nassau County if you have been injured? Personal injury means any type of harm inflicted as a result of someone else's negligence, carelessness or intentionally wrongful conduct. While this typically denotes physical harm, psychological injury, financial harm and even character defamation are also valid forms of personal injury. Many New York personal injury cases involve more than one type of harm. Aside from being a stressful and exhausting ordeal, dealing with a personal injury may leave you with tremendous medical expenses, significant property damage, lost wages from missed work and severe emotional distress. At our law firm, the goal is to help you maximize your recovery physical, emotional and financial by helping you initiate a claim for compensation. Based on the facts of your case, we can help you pursue legal action against the person or entity responsible for causing you harm. Following his graduation from the University of Notre Dame, William J. O'Mahony began his legal career in South Bend, Indiana, where he handled the defense of insured policyholders in product liability, general liability and employment discrimination claims and also represented insurance carriers in insurance coverage and bad faith litigation. In 1996, Bill returned to his native New York and became an associate with a large national law firm where he was responsible for the investigation and defense/prosecution of complex corporate and commercial claims, including contract, unfair competition, trade secret and restrictive covenant litigation, corporate dissolution proceedings, employment litigation, and the defense of professional liability and municipal liability claims. Thereafter, he became a partner with a boutique litigation firm, where he represented individuals and corporations in insurance coverage disputes, and in corporate and commercial litigation. 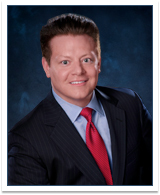 In 2011, he joined with Michael Sepe to form Sepe & O'Mahony, PLLC. Bill's practice encompasses all aspects of litigation and consulting in Sepe & O'Mahony, PLLC's insurance, business and complex litigation, professional liability and personal injury practice groups. He has lectured and authored instructional materials on insurance law for the New York State Bar Association and other continuing legal education programs. Bill has also served as a guest lecturer at Touro Law School concerning law practice management and risk management for law firms. Bill has been rated "AV Preeminent" by Martindale Hubbell, the highest possible rating in both legal ability and ethical standards. He also has been inducted as a lifetime member of the Multi-Million Dollar Advocates Forum, which acknowledges excellence in advocacy by lawyers throughout the United States and is limited to attorneys who have won multi-million dollar verdicts, awards or settlements. Bill is also a former member of the New York State Bar Association's Committee on Professional Discipline. Rated "AV Preeminent" by Martindale-Hubbell, the highest possible rating in both legal ability and ethical standards, as established by the confidential peer review opinions obtained from members of the Bar and Judiciary. Recognized in the Bar Register of Preeminent Lawyers published by Martindale-Hubbell, which includes only those select law practices that have earned the highest rating in the MartindaleHubbell Law Directory, the AV Preeminent Rating, and have been designated by their colleagues as preeminent in their field. Fewer than 5% of the law firms in America qualify for this rating.